Henry Erber, A Trp 68/69, came up with a unique hat that I am sure you will want to own. 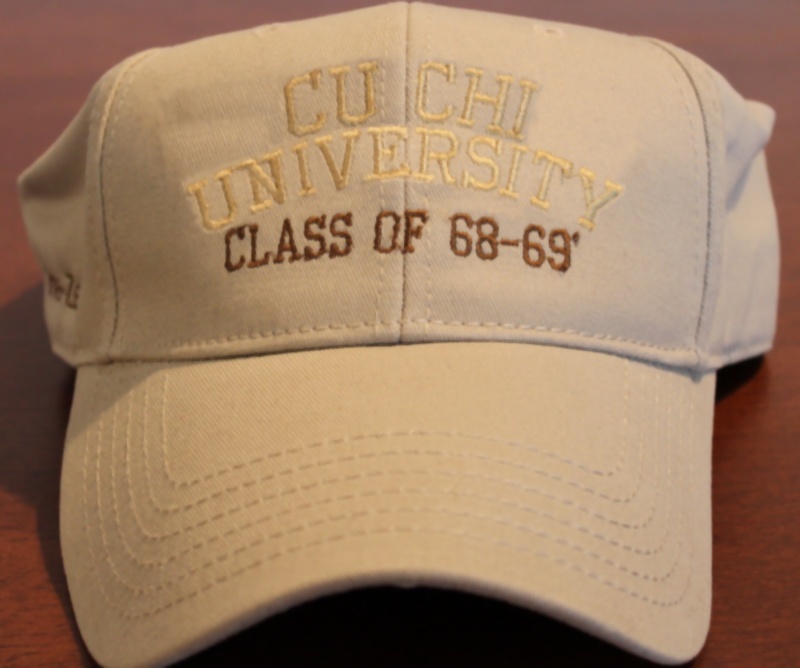 As an alumnus of Cu Chi University you will want to show others of your attendance at Cu Chi University with this unique hat. Additionally this hat will help raise monies for Chaplain Roe's War Orphans Mission in Iraq that the association voted to support during our 2010 reunion. A portion of the proceeds from the sale of this hat (about $5.00) will go to the mission. This mission fund is supported with your voluntary donations. Provide your mailing address in the email. Provide your years of service in Vietnam: for example "Class of 68-69"
Hats are one size fits all, adjustable band. Make check or money order payable to Henry Erber. You can also download/print this page with the ordering information here. You can be proud of your service to our Nation and to the 3rd Squadron 4th Cavalry. Thank you for being there with us. We hope you will help now by the purchase of a hat. Thank you Henry, for the wonderful hat design and idea to help the War Orphans Mission.